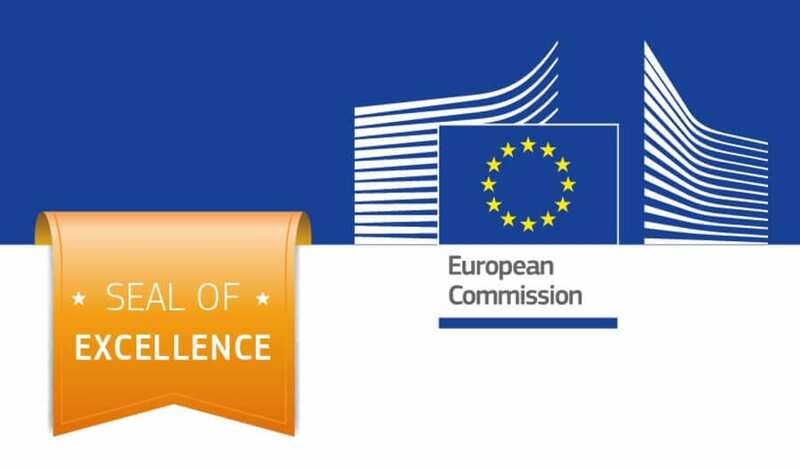 London, Feb 2016 – 365 Talent Portal has been awarded the prestigious Seal of Excellence by the European Commission. This award recognises organisations that are innovative and high quality, and recommends them as an excellent company in which to invest. The European Commission runs world-class selection and scrutiny programmes each year, using international independent experts who judge entrants on specific categories under the headings of Excellence, Impact and Quality of Implementation. Entering under our 365 Freelance brand, we scored a very impressive 13.29 out of 15 (89%) overall, with every category marked as Very Good or higher, hence being given the award. The Seal of Excellence certificate is a marker of a high-quality project proposal and enables 365 Talent Portal to approach funding sources (regional, national, private or public) and present the certificate as proof of quality. For potential funders, the Seal of Excellence is a clear indicator that 365 Talent Portal has exceeded the scrutiny and diligence procedures undertaken by the European Commission in their detailed selection process. 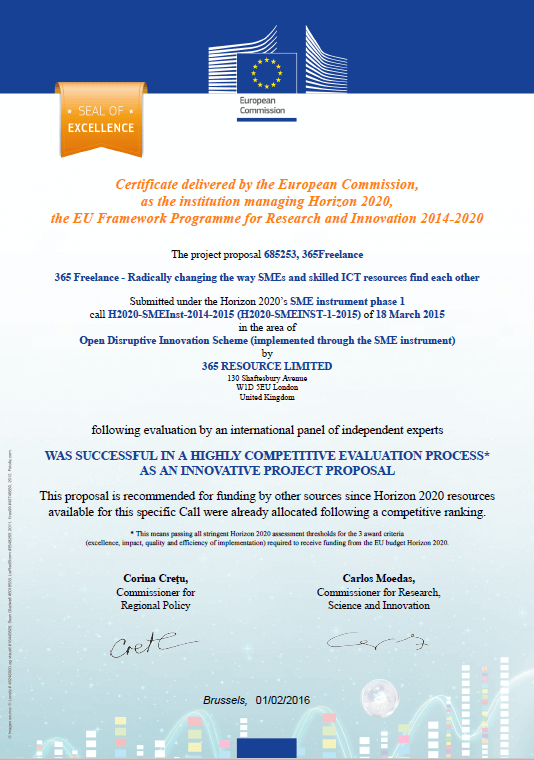 The benefit to investors, according to Commissioner Carlos Moedas is that “Through the Seal of Excellence they can benefit from the world class Horizon 2020 evaluation system to easily identify the best projects in their regions to support with their funds”.